The proclivity of life is to keep moving towards vitality. But, as with anything that flows, things can get stuck. This is when we experience the hardships of life. Sometimes the fix is as easy as unplugging the emotional clog through introspection, but other times we might need a full system overhaul. If you are consistently dissatisfied with yourself or if you don’t have a lot of energy or suffer from poor interpersonal friendships and relationships, chances are you might need a system overhaul. This may seem overwhelming at first, but by applying systematic efforts we might be able to break down old destructive habits and lay the foundation for a stronger self. Imagine a boat stuck in a whirlpool on an otherwise swift flowing river. Without any effort, you are probably going to be spinning around and around until you exhaust yourself. On the other hand, with the right effort applied you will be able to steer yourself out of the vortex. And once out, you start gently floating on the steady current of the river again. Life is exactly the same. There’s a general current pulling us towards excellence, but sometimes we can get sucked into an undertow of depression or general strife. Here in this article I’ll explain how there are six key resources we must develop to help ourselves get back on the gentle stream again. It is first important to be accepting of the present condition that we find ourselves in. When we give into confusion, worrying or panic, it exhausts us. We may feel tired because of the constant struggle we feel fighting the situation we are in. By accepting the present station in life, we save valuable emotional and physical energy which can be directed towards cultivating other internal resources that will eventually enable us to move past our predicament. Worrying begets more worrying, fear births new fears; when you are feeling depressed there is no use feeling sad about how depressed you are. Acceptance short circuits this feedback of anguish. You are left with just your underlying feeling, whether it be depression, fear or being anxious, and from there you can begin to work through it. No matter what stage you are in life you need good physical strength. Without a strong body, your emotional and spiritual progress may suffer and stagger. And fixing this area in your life can be the spark necessary to create that domino effect that ends up in your overall wellness. It is here that you might need some effort to get started. Getting started on fitness can be painful in the beginning, but it is one of the first resources that will contribute to the development of other support systems in life. In my previous article, I showed you how to get started on fitness and turn it into a habit. Your emotional well-being has much to do with the relationship you have with yourself and with others. It is easy to get caught in a self-loathing rut or feel afflicted because of your lack of energy and drive, but it’s very important to have a healthy relationship with yourself. If you can’t stand to look at yourself in the mirror, that probably says a lot about your own self-image. Have compassion for yourself. The terrain of life isn’t always a well-paved road; there are definitely rugged contours to move through. By acknowledging that it is not your fault that the roads are bumpy and that you are doing your best to pull through, you can develop some compassion for yourself. It has not always been an easy journey for us. Accept this as part of the human condition. Along with self love, the love and support that you receive from your friends and partners can draw you into balance. Friends and intimate partners can be an integral resource in your transformation. It is never a sign of weakness to ask for help. Learn to make yourself vulnerable and seek to lower your defenses when support comes looking your way. A community is a social unit of any size that shares the same values. We as social animals long to be part of a group. 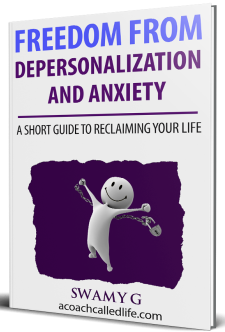 Without such a resource, it is easy to find yourself alienated even when living in a big city. Creating things together with your peers who share your values and visions of the future can be a highly rewarding experience that can take the worry off of your mind. Sharing an evening meal and a good conversation or dancing all night long with people who share the love for similar music may be a better medicine than any anti-depressant. Not all of us are lucky to be part of a supportive community, nor is it always the right kind of guidance that we might be looking for. One of the best ways to navigate the uneven roads of life is to seek out some counseling. The ‘C’ word does have a lot of stigma attached to it. If you find yourself getting defensive when I suggest you seek external help, then it is a good indication that there are parts of yourself that are resistant to change. And it is exactly these parts that might be holding you back. Sometimes, even after developing a lot of resource for your growth, you will still, from time to time, come face to face with emptiness. Your life may be devoid of unnecessary suffering but it might still feel like there’s something lacking. The absence of a spiritual cause in one’s life is definitely felt, sometimes mild in the background or sometimes loud and clear, looking straight at you. The term “spiritual” here does not explicitly mean in relation to God, it means finding a cause that is bigger than yourself or your ego and dedicating a good portion of your life to it. This can be solving your city’s homelessness epidemic or creating music that brings immense joy to a few thousand folks or taking care of a loved one in need of care. No one cause is bigger than the other. In my life, I’ve felt a sense of higher satisfaction from helping individuals get unstuck in their personal life. What your spiritual cause may look like, you are going to be the one who gets to decide. You will have to do some digging into your inner self. Sit with your emotions, intuitions, and wisdom to find out what values you care about. Do those values bring joy to others? Do they help tear down oppressive structures in our society? Or do they help defend a planet in peril? Figure out something that can be of benefit to at least one person other than you and dedicate your life to it.